[Â Reminder ] The PBE is a testing ground for changes. What you see here may not reflect what you see in Patch Notes. Remember that developers want your feedback so if you disagree with a change, you can always submit your thoughts on the PBE Community Forums. We did do some exploration into a possible Shaco direction a year or two ago. That was a gameplay only update that didn’t hit the mark at the time however, so got put on hold (it was some opportunistic work to see what was possible in some free time, rather than a prioritized project). Evelynn we haven’t looked into a major gameplay update for since her rework years ago. I do think we’ll need to take a look at how stealth/stealth detection works again sometime in general though (possibly as part of an assassin class update at some point). As far as VUs go I’d expect both to be pretty sizeable projects given the age of their current models/anims/VFX etc. Taric’s our current priority, and Yorick’s the likely full relaunch after that. After that it gets less certain. There’s some argument for Shaco or Eve certainly, some other champs we’d really like to tackle too though (Urgot and Warwick for example). We pulled those changes because they weren’t hitting the mark, in terms of solving issues on Galio or making him more satisfying to play. For one thing there’s not really any available power budget for an alternative passive. Galio’s not popular at present, but he’s pretty effective in the average game, so we don’t have space to add power to him without pulling it elsewhere. I’m not 100% certain as to the original intent, Galio was designed before my time at Riot. I’d be fairly sure the goal was to keep Galio further forward in fights by locking the healing to him, rather than having him potentially lower on health himself and therefore hanging back poking and buffing allies. We’ll be looking at more standard mages for the mage update mid year, rather than hybrids like Galio (mage/tank). Vlad/Swain lack the range, and in some cases the mobility, of other mages certainly, and get extended damage patterns and health sustain in exchange. That’s fairly similar to the trade offs a lot of juggernauts make, so yes, if that’s what you mean I’d agree with you. What does “debilitation” mean to you? I see suggestions like this come up from Cass players pretty often, but it’s usually not followed by much more than wanting DoTs to be emphasized on the kit, and Twin Fang to be de-emphasized. Do keep in mind I’m not saying this is incorrect. However, I do hope that if we were to do poisons or “debilitation” better, it would manifest in a way that wasn’t just stronger DoTs. Unique debuffs? Time delayed afflictions? More CC? Is it simply that you want your Q to be stronger in lane? Please do keep it civil from this point forward. I’m interested in what’s going on here, minus a lot of the aggressive nature (though I understand it to a degree, to be fair). It’s not exactly what you’re asking for, but I put in some changes to Cass this last week that should make her no longer cancel her Movement or Attack orders when casting Twin Fang. It’s not something that could ever be data-mined, so it may not appear on PBE, but it should be there. Assuming it gets through QA bug-free, it should be there for 6.2. For those unfamiliar, this treatment was also given to Ryze a few patches after his release, and it seemed to make his play a bit smoother. That sounds like something that new tech would need to be created for, so it doesn’t seem like a quick easy thing at the moment, unless there’s an internal workaround that could do it that I’m spacing on. I’m not really one to field buff requests, sorry. If there was something about her gameplay that mechanically wasn’t functioning, I may be in line to help in the immediate, but despite her low win rate in solo queue, the fact that Cass saw pro play as recently as this week does suggest she’s not incredibly far off from a pure power level perspective. Balance and health aren’t really the same thing. Champions can be balanced without being healthy, and they can be healthy without being balanced. Because we don’t take such a binary approach to the matter. Regardless, it would be great if this conversation could move back toward directional changes for Cassiopeia, and away from game balance. I came into this thread with the objective of learning what kinds of directional changes players are interested in for Cass. Honestly, it feels like a bit of both to me, where the allowable power level of a champion is something like the maximum of their power level in Solo Queue and their power level in competitive play. When the discrepancy between those is too great, we run into issues, issues that are a frequently a reason for doing Champion Updates. Ryze has some of this going on at the moment, where hisallowable power is regulated by the fact that he’s a competitive power pick despite being sub par for most players. We’ve talked about terrain destruction abilities a fair bit and do think there’s some pretty cool gameplay opportunities in them. Making such abilities look good enough’s the biggest challenge remaining at this point (still some technical and design issues to solve, but of a smaller scale). Given the way our maps are made there’d be a lot of work on the art side needed to support such abilities. I’m hopeful we’ll get there at some point, definitely won’t be in the short term though. It’s not so much the programming side, as it is making the destroyed terrain look good (rubble of broken walls, destoyed trees, appropriate ragged edges for still standing terrain etc). Some form of ongoing flight on a champion at some point’s pretty likely, and mainly a question of finding the right gameplay fit, rather than technical limitations. Would be a really different ability though to terrain destruction of course (changing one characters options a lot versus changing both teams’ options a lot). There’s lots of work to do on her right now, since she just recently got picked from all stars, but I assure you she will be coming out – we’ve just got to make it super awesome first. I’ve always wanted to make sounds on a skin for her. Sorry on the lack of specific dates, but you’ll hear more as it’s getting developed! Is there anything you think would be awesome for this aesthetic? [ Note ] Today (Jan. 19th),Â Riot will issue a statement whether the new Champion Select will be used for Ranked queue this season. Stay tuned! To be clear, I think you’re making a few assumptions. It’s pretty universally agreed among industry experts that voice chat introduces some amount of toxicity into an ecosystem or game; however, that doesn’t mean we are opposed to it. We definitely understand the importance of communication in a competitive team-based game, and every time we talk about voice chat, we mention that we’re open to it, we’d just want to change some of the basic designs of voice chat to mitigate some of the known issues. The Bravo Ray designed the appearance of Jhin (concept artist =/= gameplay designer) and was excited about the idea of a ‘mystery box’. You see this creepy thin guy who is asymmetrical because of a huge shape on his shoulder, you have no idea what it is… until the final act. What it is is four huge magically infused artillery shells racked up on a hextech accelerator built right into his mechanical shoulder (he’s sacrificed much for his art). When attached to Whisper (and the extended barrel for accuracy) it forms the final piece in the biggest, most powerful gun Runeterra may have ever seen! Kinda reminds me of Shen in Kung Fu Panda 2. A big key thing to understand about Ekko is that his Z-Drive doesn’t always work the way he wants it to, mostly owing to the fact that it’s homemade hex-tech that runs on the exotic properties of a shattered crystal. In terms of Parallel Convergence, (story wise) is what happens when you wrinkle time too much — sometimes it tears and your parallel self lends a hand to seal the breach. I mean, he’s the boy who shattered time. That can have some unintended consequences. With Phase Dive, Ekko basically blinks out of the timeline, returning at opportune moments. As you can tell, he’s probably made (and broken) a few Z-Drives. The Timewinder feeds off his Z-Drive. However, he initially designed it to have an entirely different function — probably a smoke or flash bomb — but… it didn’t quite work as intended. In fact, Ekko’s sort of unsure about how it works, but it works reliably enough (and with no lingering effects) for him to be cool with chucking it around all willy-nilly. Thanks for making me think about this stuff. One of my 2016 goals is to write Ekko a long bio, and you’re inspiring me to put it before my other work that has deadlines (because I am a triple-A rated procrastinator — heck I’m supposed to be making my wife bolognese for dinner at the moment). WAAARGHbobo:Â If i remmember correctly, he’s an enforcer for one of the piltover owned companies in Zaun. Never had a real name, was called hexa-thug or something in script. I think a sion skin for him would be dope. Giant arm acts as (and maybe even transforms into) the axe. Prob couldnt be a champ though as he occupys a space already covered by urgot and sion. Lastly, and as usual, fan art! [ Note ] Kindred will also be enabled with Patch 5.20. You can find an in-game preview of bothÂ KindredÂ and her release skin HERE. [ Note #2 ] Riven’s “Edge” resource was reverted during this PBE cycle and may return at a later point. Cosmic Reaver Kassadin will be discounted to 675 RP for OCE, with profits going to a charity. For other regions, he’ll be available for 975 RP for 4 days on release, after which he’ll return to his original price of 1350 RP. Demon Vi’s summoning will cost you 1350 RP. For the first 4 days after her release, the portal will only need 975 RP. You can purchase the superior version of blue Brand for 975 RP during the first 4 days of release, and 1350 RP afterwards. Heal duration now lastsÂ 2 seconds, increased by 1 for each Vital Fiora procs, up to a maximum of 5 seconds. Itâ€™s been awhile since we saw the original One For All on Summonerâ€™s Rift. A number of new champs have come out since its last run so we thought: why not bring back the OFA funtimes? One For All is a 5v5 battle played on SR where everyone on your team uses the same champion, decided by a vote during champ select. Some champs have amazing synergy with themselves (Kalista? Kalista! :D) so enjoy exploring the possibilities. Thereâ€™s been quite a few new champions (and many others reworked) since the last time we did OFA. Weâ€™d like some help from you guys specifically testing out the following champions here on PBE before the mode goes live. Weâ€™ll be temporarily disabling all other champions in OFA for the first few days on PBE, just to help focus the initial testing on these below champs. To reiterate, when OFA goes live, ALL champions will be available to play. Weâ€™re just limiting the pool here on PBE to help focus testing on the newer script-worked champs. Thanks guys. Now to try out that matryoshka Tahm Kench. The last four icons for World Championship qualifiers have been added. From left to right: paiN Gaming, KT Rolster, Invictus Gaming and EDG. Â Check out the pirate duoâ€™s update, a set of 6 pirate-themed skins and a new featured game mode! Corsair Quinn’s Valor has been recolored to fit her theme. Note that the updated Valor only appears for her passive and Q for now (will make model screenshots when the bug is fixed). Sea Hunter Aatrox is now decidedly more gray. You can check out the older version of his model HERE. [ Note ] Azir received heavy nerfs in yesterday’s PBE update. [ Note ] This is a revert of the changes to Elise in this PBE update. The gold-per-10 buffs to Frost Queen’s Claim, Frostfang and Spellthief’s Edge from this PBE update have all been reverted. [ Note ] Warrior’s Enchantment was reworked in this PBE update. Two new banners have been added for Summoner’s Rift, presumably for the upcoming pirate event. Every 15Â seconds, Gangplankâ€™s next melee attack ignites the target, dealing 20 [+10 * Champion level] [+1.2 bonus AD] true damage overÂ the next 1.5 secondsÂ and granting 30% bonus Movement Speed for the next 2 seconds. Destroying a Powder Keg instantly refreshes Trial by Fire and grants Gangplank the Movement Speed bonus. Parrrley cannot activate Trial by Fire. For each Gold plundered by Parrrley, Gangplank gains a Silver Serpent that he can use at the shop to upgrade Cannon Barrage. Heal value changed from 80/150/220/290/360 [+1.0 AP] to 50/75/100/125/150 (+1.0 AP) + 15% of Gangplank’sÂ missing Health. Places a powder keg that can be attacked by Gangplank or his enemies. If Gangplank destroys a keg, it explodes in an AoE blast that slows enemies by 40/50/60/70/80% for 2 seconds and dealsÂ 80/110/140/170/200 bonus physical damage to Champions. This damage ignores 60% of armor. Other casks within the zone will chain explode, but will not deal additional damage. If an enemy destroys the cask, it defuses the explosion and grants gold. The health of kegs decays every 2 seconds, and that rate is increased at levels 7 and 13. Ranks in Cannon Barrage [ R ] increase the maximum amount of Powder Keg charges to 3/4/5. Raise Morale gives allies within the area of effect 30% bonus Movement Speed. Check out Captain Fortune’s splash art and the visual tweaks to the Spellblade passive HERE. [ Reminder ] The PBE is a testing ground for changes. What you see heremay not reflect what you see in Patch Notes. Remember that developers want your feedback so if you disagree with a change, you can always submit your thoughts on the PBE Community Forums. Check out Arclight Vayne,Â Guardian of the Sands Rammus and Skarner,Â and Morganaâ€™s new VFX! If Anivia is killed by Brand’s W,Â she will transform into an omelette instead of an egg. Now has a 20% chance of spawning a roastedÂ gerbil instead of Tibbers. Spawns a second Urgod at the original Urgod’s place. Recasting Â the ultimate allows Urgod to play tennis with the mangled corpse of his foe. Check out all the April Fools skins, texture rebalances and the Champion Mastery System that will be up with Patch 5.6! Order of the Banana Soraka got her tattoos back! Here is an updated model preview of the skin. 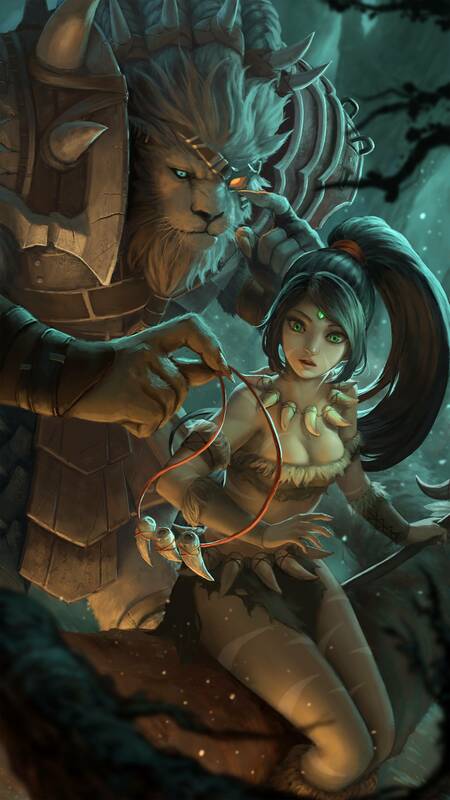 Definitely Not Udyr got some color tweaks to his stances and now has a zipper on his Turtle costume. Also, he got a new recall animation! Left side is the OLD version of his model, right side is the NEW version. Ryze, Human Ryze and Zombie Ryze have received tweaks to their recently-updated models. Will post screenshots as soon as the PBE is up. Left side will be OLD version, right side – NEW. [ Note ] I don’t have access to Human Ryze so I can’t cover him. Sorry! [ Note ]Â The Mandrake Ward was added with yesterday’s PBE update. Note: The following item is highly experimental and probably won’t ship any time soon, if at all. All assets are temporary and are absolutely not final. I’m putting up some experimental content for exploration. Click to Consume: Places an invisible blind sentry in a brush for 5 minutes. The plant will ping the map if a visible or invisible enemy enemy is within 900 range. This is intended to be an early game ward to protect the lane against the jungle without revealing a jungler’s prospective health or directional pathing. It’s also an answer to early game stealth for lane protections now that pinks are fairly woefully inequipped at dealing with the task. There’s some neat tricks (it can sense over walls) that it has currently – but it still needs a ton of iteration to feel usable personally. Will be doing some polish work over the next couple days trying to get it in a cleaner state – last I checked, I missed a file somewhere and it’s probably super bugged on PBE – also need to think about ping throttling the thing in terms of sounds and motion. Eventually it’ll require a custom ping sound and error handling – but for now, everything is highly temp and experimental. I’m curious to see whether or not people feel like the item’s purpose is clear. The item hopefully doesn’t feel like it’s worth a slot end-game and make end-game consumable purchase cycles even worse. One ping. Currently it’ll reping if they’re still there in the area after 10 seconds but I’ll probably be adjusting this rule. Currently it pings at where the breach occurs – but given that it’s a mini-map ping, you’re not really going to catch any difference – though you’re right that it should probably ping itself rather than the point location. The initial reasoning that it provides you much less information than a sight ward does. For example, you don’t get the items of the champion you detected (because you never saw him). You don’t know the champion’s health status or direction (because the ping is centered on the mandrake). You’re not sure if he’s passing through or if he’s actually aggressing on the lane. You’re not even really sure which champion it was – but you can probably do that by process of elimination. It might be a total mistake to have it at 5 minutes as it feels like an eternity – but that’s another one of the things that I’d want to feel out in testing. Yes and no. There’s multiple ways of looking at it. In a world where Eve is a primary jungler and there are no way of mitigating the effects of her game other than complete passivity – Evelynn will probably never be good. There needs to be a way to mitigate the effects of her stealth somehow in order for her to be good. When you introduce the item to mitigate the effect of long term stealth – for the short term, absolutely it will make her power level holistically lower. However – this is the only possibility space in which Eve could be powerful in the future. so, the title pretty much covered this but we’ve got a new ap item hitting the pbe soon! as we mentioned in the 5.2 patch notes, we’ve been spending some time exploring a few different options to add another “late-game mage item” into the game. we’re now at the point where we want to share one of those directions with our pbe testers and see how the item is received with a wider audience. one of the goals of these explorations was to discover something that is especially exciting to a particular mage play style, and as you’ll quickly notice, this item takes the basic actions of moving around the battlefield and repeatedly slinging spells and rewards them by casting its own spell into the fray! we have some initial thoughts on which play styles are in want of something like this, but more importantly we’re interested in seeing what the community does with the new item. alright, let’s talk about our current timeline! this item should be on the pbe soon (tomorrow if everything checks out okay) but will not be shipping in the 5.4 patchâ€”we’ve still got a bit of testing and number crunching to do on top of getting non-placeholder art and sound. if you’re wondering exactly when this would be shipping, the honest answer is that right now we’re focused more on getting the item into the hands of testers and confirming that we’re happy with this direction than we are about shipping anything by a certain date. the classic “when it’s ready” shipping date, if you will. with all that out of the way, here are the item stats of the first pbe iteration! UNIQUE Passive: Gain charges upon moving or casting. At 100 charges, the next spell hit expends all charges to deal 100 (+15% AP) bonus magic damage to up to 4 targets on hit. Please note that this is a work in progress and that its name, as well as any art or sound assets, is to be considered placeholder. that should do it for the item’s introduction (i’ll update this post if i forgot something). looking forward to the discussion about the item! it’s a bit different since one of the triggers is spell casts instead of basic attacks, so the cadence depends more on which champion you’re playing. i believe the tuning in the first iteration that should hit pbe gives 20 stacks per spell cast, and gives a little bit less from moving than statikk shiv does. This brave little poro is fighting back against the onslaught of aerial assault alongside the other Dragonslayers. With his vigilance, youâ€™ll never be surprised again whether itâ€™s an impromptu dance of dragons or a sneaky attempted gank. Rise up against the dragon horde with the Dragonslayer Poro Ward Skin available now untilÂ 23:59 PST on February 27Â forÂ 640 RP. Currently she’s not. We had a few update concepts back in the day but she just doesn’t have any sort of story direction or explanation of what the hell she is. Until we hammer that out we probably won’t be doing anything with her until then. I think there’s some good ideas in the Shadow Isles ideas, and heck, I could see her playing into the Darkin thing if we ever build that out. There’s a lot of options, so that’s good. She’s wide open in terms of actually making a character out of. The patch that reduced the width of Syndra’s Q+E stun also significantly reduced the radius of the initial check around a sphere that’s been hit to see if there’s a unit there that should be stunned before the sphere starts moving. We’ve got a change on the PBE at present that increases both that radius and the Q+E width as it travels. Assuming that change goes live I believe that will probably help out with the problem you’re seeing – as far as I’m aware Q timing hasn’t been changed at all. That’s definitely a bug, not an intended change. I’m 99% sure we’ve got a fix for that in the next patch already, will double check tomorrow though. Hotfixes (making quick changes to the servers without taking them down for a longer maintenance period) have extra risk associated with them. Hotfix changes do get tested extensively, but it’s over a shorter period of time so it’s not completely equal to a full patch cycle of testing. As a result in order to justify the risk involved hotfixes need to be really high value (e.g. X champion is currently disabled because they crash the game) or be at least fairly high value and really low risk (e.g. changing a single number in a text file that corrects a major damage bug). In this particular case Xin Zhao’s Q doesn’t knock up if the target isn’t moving at the time of the third hit. That’s definitely a significant bug, but it’s not crippling him and the fix involves code changes, which are much riskier than just changing data values. As a result (as far as I’m aware, server patches aren’t my area of expertise) we’re not currently planning to hotfix this bug. In terms of how often we update we’re currently putting out a patch every two weeks generally (major exceptions around things like Worlds, Christmas etc). I can understand your frustration that fixes like this can take a bit of time to come out, that’s the same cadence of patches as in Season 1 back in 2011 though.